Remember when all the books for girls were about them being rescued by a knight in shining armor?? Or when all the books aimed at girls were covered in pink and glitter? Things are a changing, and now all those princesses seem to be surrounded by small, raised fists. So many writers and book sellers are beginning to embrace feminism for young kids, which has been inspired by recent events or even the huge success of books like, “Good Night Stories for Rebel Girls” and “She Persisted” . We needed more books that celebrate the achievements of real women. I love seeing books with female heroines that are also exploring science, math and political activism. Even board book babies are feminists now. We’ve been slowly building Adeline’s Girl Power library so that she has a more inclusive collection of books with people from all walks of life, genders, ethnicity, culture, & religions. Today I am sharing my favorites that focus on women, building self esteem, and strength. You can shop by clicking on any image of a book. So, here are 25 books to empower the girls in your life and inspire the boys. 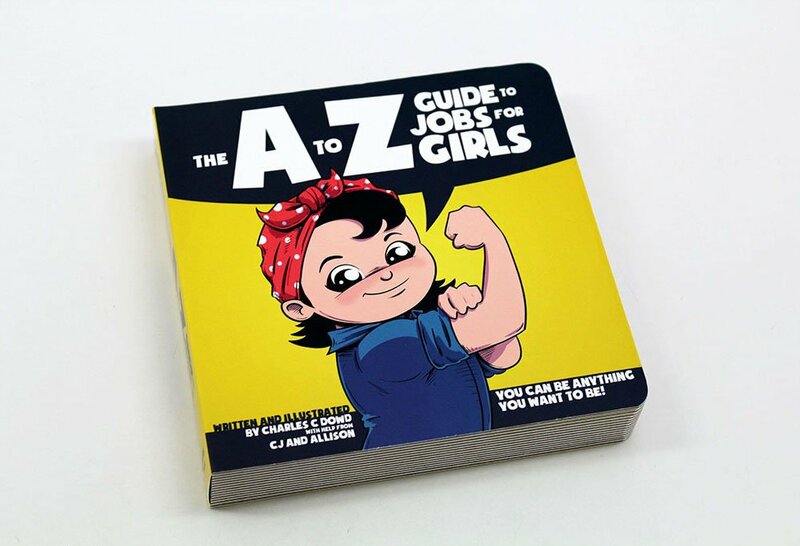 A great way to introduce to girls that they can be anything using the classic alphabet style book. A is a for astronaut, F is for firefighter, etc. Author Charles C Dowd is creator & illustrator of comics and kid's books featuring awesome female protagonists, monsters, and cats. He was inspired to create some of his work after taking his daughter to their local comic shop and quickly discovering a lack of non-sexualized female led comics for her to enjoy. This books celebrates the courage in every child. It encourages children to listen to their head and their heart and be brave to make the necessary choice whether it is to try a new thing, try again, walk away and try something new, just sit home alone, etc. We just got this book for Addie’s birthday. 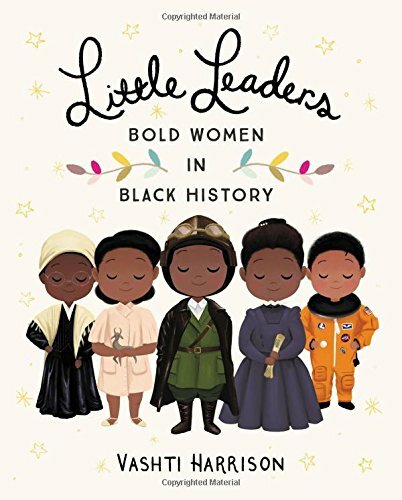 This book features forty trailblazing black women in American history, with adorable illustrations that bring to life both iconic and lesser-known female figures of Black history. I also like that kids can realate have the opportunity to connect with all types of SHEroes since Author/artist Vashti Harrison pulls from every walk of life--literature, politics, pop culture, athletics, and science. One of my favorites written by a mother and daughter. This book encourages girls to always be themselves and that she's great just the way she is—whether she enjoys jumping in a muddy puddle, has a face full of freckles, or dances on table tops. This book is about love, empowerment, self-affirmation, curiosity, and everything else we need more of in the world. This book is great for all humans. Each page features a number and objects to count (such as "dos flores/two flowers"). The pages are bold, colorful, and exciting. This is a great way to introduce your little one to the life of one of Mexico's most iconic painters, Frida Kahlo,art, and another culture/language! This book is a scientific parody of Goodnight Moon using scientific terms and the scientist saying good night to items in her lab. it doesn't shy away from big words and that it features a female scientist on the cover! I love this book and definitely need to adapt the text for my toddler. But this is a book every child needs in their library. It’s 00 bedtime stories about the life of 100 extraordinary women which is illustrated by 60 female artists from all over the world. t People with boys, don't be deterred from buying this book, simply because the title indicates a female bias. The short passages cover every continent and every race, religion, and sexuality. Since my family is full or red heads, I love that the heroine is a young girl with gorgeous red flowing hair. This book sends the message that you don’t have to be a grown up to be a hero and that each day is full of opportunities to make a positive impact with ordinary actions . Our warrior goddess is connected to nature and keeps her body and mind strong. She’s loving and fierce. She helps others and is a leader. She’s self reliant and confident. I’ve had this book forever and used to read it when I taught kindergarten. 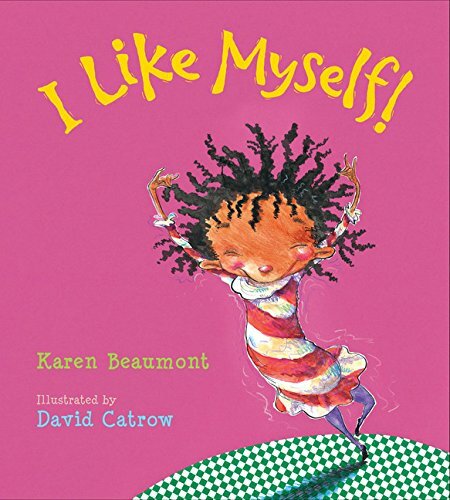 This ode to self-esteem encourages kids to appreciate everything about themselves--inside and out. Messy hair? Beaver breath? It doesn’t matter! Pictures are very colorful, large, vibrant, and done by one of my favorite illustrators. It’s very catchy with rhyming text and has an important message that your self worth and self esteem are something that come from only yourself. I am so excited for this series to be released and they’re currently available for pre-order. A few others I have my eye on are, I Look Up To…Michele Obama, Serena Williams, Ruth Bader Ginsburg. It’s a great way to introduce little ones to women you admire, like Malala Yousafzai, an activist for girls' education and Nobel Peace Prize winner. Katy, a brave and untiring tractor, who pushes a bulldozer in the summer and a snowplow in the winter, makes it possible for the townspeople to do their jobs. I love that Katy the big red bulldozer is a strong female protagonist with no need for a love interest or even a male sidekick. She just keeps on chugging, helping people, doing the job when no one else can, never giving up even when she gets tired. We just got this set for Addie’s birthday this year and it includes 4 mini board books (Pioneers, Artists, Leaders, and Activists.) It’s a great book for very young filled with 16 Feminist icons and merely a sentence for each one, Illustrations are bright, bold, and we are loving these. few lines of text on each page, bright, engaging illustrations and inspiring stories of people from humble beginnings who did something great with their lives . I especially love the illustrations. Little people, big dreams series includes Marie Curie, Emmeline Pankhurst, Rosa Parks, Audrey Hepburn , & Ella Fitzgerald. A great set for your young toddler. 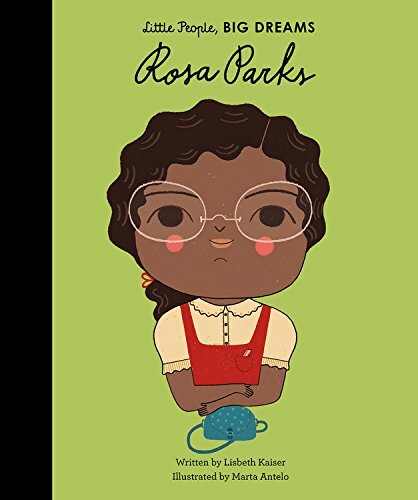 Set includes 4 mini board books, 8 chunky pages per book, comprised of colorful illustrated portraits of real people who have made historical impact on the world. These book includes both men and women and people of all races. The book features beloved DC characters like Hawkgirl, Katana, & Raven as well as the ever popular Wonder Woman, Bat Girl & Supergirl. Comic books can be very complex, but this keeps it simple. This book empowers girls with good values & uplifting messages of friendship and female strength. Adapted from one of Bob Marley's most beloved songs, One Love. In Cedella's adaptation, a determined little girl shows her family, friends, and neighbors how love and teamwork make a community a better place. It’s a vibrant picture book where the words give the emotion, but the pictures tell the story. It’s the story of a community coming together to turn a vacant lot into a park, One Love Park. Princess Elizabeth lives in a castle and is engaged to marry Prince Ronald. One day, a fire-breathing dragon destroys her castle, incinerates her belongings, then flies away with Ronald. Since all her clothes are ruined, Princess Elizabeth dons a paper bag and sets off to save her prince. This princess is in love with the prince. She learns quickly he's not worth her love and she MOVES on. I love the role reversal of this book and also the message that you should not settle. This book is a little advanced for a toddler, but I just adapt the text. In this book, Chelsea Clinton introduces readers to a group of thirteen incredible women who have shaped history all across the globe. 3 diverse women who stood up to discouragement based on their gender and succeeded in long-lasting ways. The artwork shows these women not only as themselves, but as their younger selves, striving to reach higher goals they were told weren't available to them. Little Molly Lou is smaller than all the other kids in her class, she has buck teeth, and can't sing a good note. But, her grandmother taught her that, if she carries herself with confidence, the world will look up to her... and if she smiles, the whole world smiles, too Adeline is so small, and I love this small but might heroine. David Catrow is also one of my favorite illustrators. This board book introduces little ones to trailblazing women from all walks of life and corners of the world. Readers meet Ada Lovelace, Florence Nightingale, Coco Chanel, Rosa Parks, Maria Tallchief, Wilma Rudolph, Sonia Sotomayor, Ruby Bridges, Maya Lin, and Malala Yousafzai. Penny, Polly and Molly; three tough chicks who would rather wrestle a worm than quietly peck grain off the henhouse floor. They ran around the farmyard playing in the mud, checking out the tractor's engine, swinging from the cow's tail, and just being incredibly active. The other animals in the baryard want the chicks to act normal and not bad. Thankfully they have a mama who reminds the animals that They're tough and they're smart and they're different in a GOOD way! Ruth Bader Ginsbury proves that disagreeing does not make you disagreeable. RBG was one of only 9 women in her law school class of more than 500. RBG saw signs, growing up, that read: "No dogs. No Jews." She spent a lifetime disagreeing: disagreeing with inequality, arguing against unfair treatment, and standing up for what’s right for people everywhere. The countdown to Christmas has begun, and I guess that means I need to start shopping! When it comes the holidays, I’ve always been pretty traditional, and even more so now with Addie. I want to recreate all the traditions I had with my family growing up, so she can have the same experiences I cherish so much. Each year my parents would get us a book that was from them, and not from Santa. The book was always a beautiful, hardcover classic. Those were books we never donated or sold when it was time to purge old toys and books. Most of those books (the ones that weren’t lost or ruined because children), I still have today. I came up with my list of favorites we have or a few I have on Addie's Christmas Wish List! If any of you follow along our Instagram stories you know we are reading about 2-3 times per day. As a former public school teacher who had to purchase most of the books in my classroom library, I have quite the collection. Each time my former place of employment used to send me another box of books they found of mine John would joke and say, "Can you at least gid rid of one?" Um....nope! Hence while we have a book closet, yes, an entire closet dedicated to children's books which may sound like I have an excess of closets but I do not. We currently do not have a linen closet! Haha! I've curated some of Addie's favorite fall books to share with all of you! Reading is one of the things we do together at least twice a day, and it started when she was in the NICU. Born at 26 weeks, Adeline spent 114 days in intensive care and there were very few ways to connect. One of the ways we connected, especially my husband, was to read to her for hours a day. Each night when he would get done work, I would do kangaroo care while my husband would read and read. SInce she came home we've continued and we came up with a list of A.Belle's Best Board Books every Baby Needs!